Christian Classics Ethereal Library The mission of the CCEL is to build up the church by making classic Christian writings available and promoting their use. An index of primary and secondary sources to be used in the study of Church history. Theology Library Church History This site provides 125 links, some of which include general church history, early church history, western and eastern hemisphere church history and the history of other denominations. This site provides a great deal of information that would be appropriate for research assignments and presentations at the high school level. This website is wonderful because it originates at the high school level. 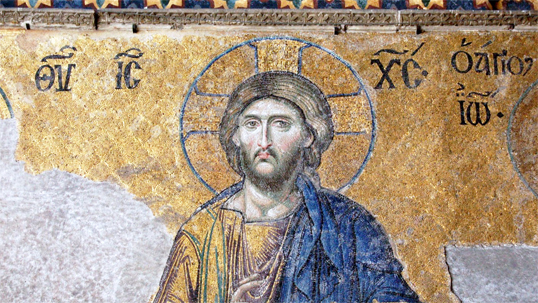 A Timeline of Church History This site provides a detailed timeline of church history dating back to Byzantine times from an Orthodox perspective. It reveals a general overview of the development and establishment of the Christian Church. Information on specific events or time periods can be easily accessed by clicking on a date located on the timeline. The site also provides prayer links to other sites. This would be a good resource for teachers who would like their students to explore the origins of the Christian Church and to understand church history. Many thanks to York Catholic DSB teachers who helped to provide this links and annotations.